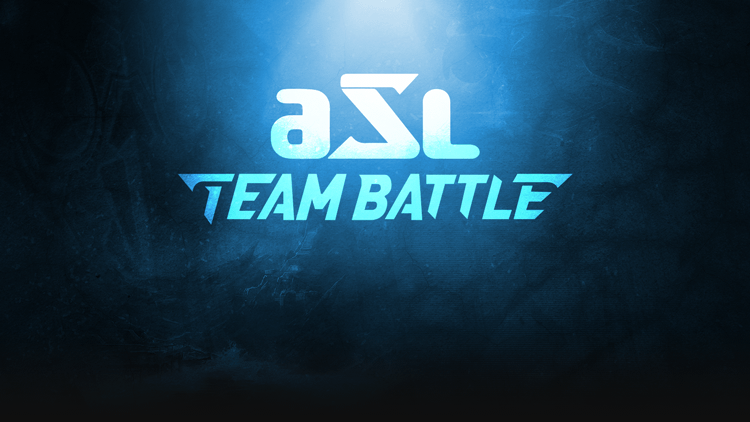 The Afreeca Team Battle Season 1 concluded this past Sunday and ran for a total of about 4 weeks since February 18th. The finals were highly anticipated and the results were extremely surprising considering the line-ups. After many battles since the quarterfinals, Team GuemChi came out on top, taking first place and the grand prize. Their triumph as the underdog against the likes of Team Bisu in the semifinals and Team Flash in the finals will be remembered by many fans, a true Cinderella story. More specifically, their synergy and teamwork in the 2v2 matchup as well as Soulkey's strong individual performance, especially when needed, were instrumental in them grasping victory. In doing so, one can even argue that Soulkey's victory in the ace match was of great importance. Could this be the start of something new? Will Soulkey be the first Zerg to figure out Flash and usher in a new age for late game ZvT? Only time will tell. One thing is certain though, history remembers the winners and Team GuemChi certainly earned it. Read on for a recap of the finals. In closing, we'd like to thanks all our readers for their time and all our contributors for their tiresome effort. Hand in hand, our passion and love for BW can only help the game reach unimaginable heights! Spawning in close positions on Fighting Spirit, Last opened up with 1 rax FE while GuemChi opted for an expansion on the back of 1 gateway. The game was pretty standard as GuemChi grabbed his third. Last being active with his vultures managed to catch the transferring probes, netting a total of 7 probes and expanded, grabbing his own third and defending it soon after. With a three base economy, Last added more factories and went on the offensive, leap-frogging tanks until he separated GuemChi's army from his expansion. With not much resistance, Last razed GuemChi's expansion and took down his third using a small tank force while GuemChi attacked Last's third with a small zealot force which failed. When his fourth nexus came under attack, GuemChi gg'd and Team Flash was up 1-0. Aside from the beginning of the game where Rain killed two drones with a lone zealot, this game was all Soulkey. Soulkey opened with an expansion pool build while Rain went for a 2 gate but didn't produce much zealots. After mustering a small army, Rain tried to move out but Soulkey was ready and ran into his main with some zerglings. Using them, he denied the back expansion several times, sniped probes etc... while he grabbed a third and got a hydra den. Rain eventually stabilized and went for an attack on Soulkey's expansion but Soulkey defended. Up against hydras streaming towards his base and with several zerglings sniping his probes in his main, Rain conceded. Series was now tied 1-1! Arguably, one of the best 2v2 games of ATB, this game showed off the calm demeanor and confident play of PianO. A combined attack by Flash and Last saw Soulkey down to only 2 drones. This prompted PianO to pick things up, helping to defend Soulkey's base as he worked on his economy while Last teched to mutalisks and Flash worked on getting reavers (note: Flash made several cannons at Last's base and his for defense). As the game progressed, a large engagement took place in the center of the map with PianO's mnm and Soulkey's zerglings up against Flash's goons/reavers and Last's mutalisks (gif). The end result was a favourable engagement for Team GuemChi with some spectacular splits from PianO. The next push with tanks sealed the win! With Team GuemChi up 2-1 in the series, PianO decided to go for a proxy rax behind Flash's mineral only expansion. Unfortunately for him, Flash defended pretty well and took an earlier expansion to get a better economy. Everything seemed bad for PianO but he did manage a vulture runby sniping SCVs at Flash's main and expansion. Still, Flash was unfazed as he went for his tried and true goliath drops to snipe workers. As the game continued, Flash started expanding all over while he defended against PianO's drops, took (mostly) better engagements and sniped dropships using a small wraith/valkyrie squad. Despite his best efforts, PianO found himself in the worst spot possible against the worst opponent, especially as he lost his expansion. His solution was a last ditch all-in attack using workers which failed. The series was now tied 2-2! Ace match time! As many anticipated, the ace match pitted Soulkey who has carried Team GuemChi throughout ATB against Flash, the undisputed GOAT. Things looked grim early on for Soulkey despite a nice zergling attack, however, he managed to establish his third. As the game progressed, Flash took control, going up to 6 mining base, transitioning to mech and being aggressive while Soulkey was on 4-5 mining bases. It seemed like this would be just another game where Flash trumps his opponent but looks can be deceiving. Soulkey fought back with multi-pronged attacks, drops, constant aggression and some of the best ling micro in a late game ZvT to take quite the thriller. Words won't do this game justice, go watch it! With this last win, victory was secured for Team GuemChi. Considered one of the underdogs, they have beaten Team Bisu and now Team Flash to take first place. Team GuemChi (GuemChi, Soulkey, PianO) are your Afreeca Team Battle Champions! Great write up, what an epic series. Soulkey has been on fire this whole tournament, hopefully he can take the next ASL too. are those gifs? why cant i save them or copy a link address? Great series. Fantastic ace match for the finals. Couldn't have gone any better. Am I getting old or is the bold yellow text hard to notice? Soulkey earns 45,000 balloons in the day from his fans. I think that he deserve it. These were awesome finals, Soulkey's play was phenomenal. He never convinced me during Kespa era, but now he gained a new fan The 2v2 and Ace match were so exciting! I think Starcraft is pretty nice. Words don't do the ace match justice. My jaw dropped to the ground at the finish and almost missed alighting from my train home lol. Seem, these many people don't like Flash! awesome for Soulkey. Thanks for the recap! I thought PianO was being super cocky going for the 4th rax instead of a factory. He made it work out great, but I still think it was slightly risky.